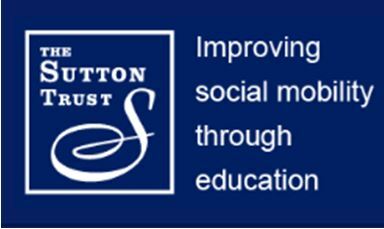 A new Sutton Trust study has found faith schools are among the most socio-economically selective schools and warned that Government plans announced last year to open schools that can select up to 100% of pupils by faith will increase disadvantage for children from economically deprived backgrounds. Since 2010 new state funded faith schools have only been permitted to select up to half their pupils on these grounds. The national social mobility charity has urged that rather that opening fully religiously selective schools which would increase socio-economic segregation and disadvantage, the admission policies of existing faith schools should be made more inclusive instead (p4). Religious selection by schools has been consistently found to lead to social selection. The Accord Coalition has reviewed research highlighting this strong link here. In 2016 an Accord Coalition commissioned opinion poll conducted by Populus found 72.2% of the public agreed that ‘state funded schools, including state funded faith schools, should not be allowed to select or discriminate against prospective pupils on religious grounds in their admissions policy’. 14.8% of respondents disagreed, meaning faith discrimination was opposed by a ratio of almost five to one. It was also opposed by a large majority of adherents of the largest Christian denominations and all major world faiths.